2019 RATE INCREASE As set forth by Ordinance 59, the District will increase the water rates based on the Social Security Administration cost of living increase plus half of one percent. Therefore, the 2019 rate increase will be 3.3 percent. This increase will take effect January 2019. 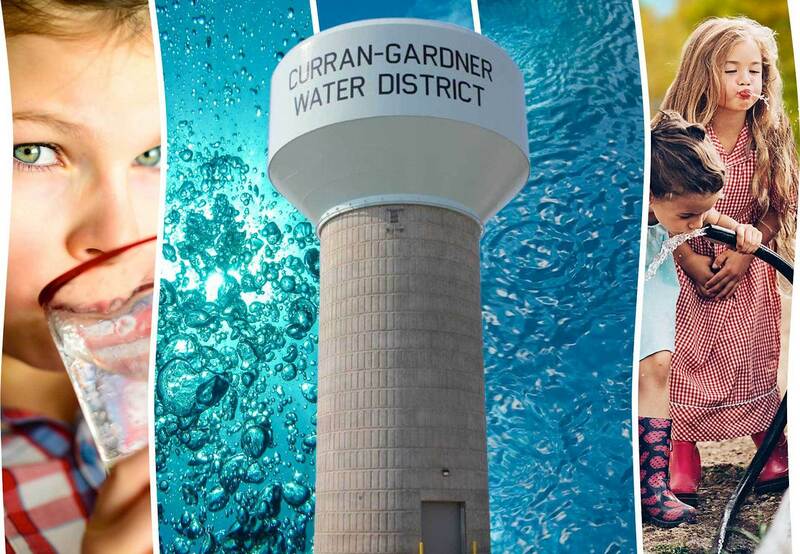 Curran Gardner Townships Public Water District is dedicated to providing reliable water services in a cost-effective manner while protecting our water resources and the public’s health. At the request of the Springfield Metro Sanitary District, the Curran Gardner Water District has agreed to serve as the billing agent for the Sanitary District. The Sanitary District rates, as determined by the rate schedule adopted by the Sanitary District Board, are now included on the Curran Gardner billing system.. Please note that the Water District conducts their monthly meetings on each second Tuesday of the month at their office at 3384 Hazlett Road. The building is located on the west side of the water treatment plant. The water bill drop-off box is located at the front of the office building.